This was a tricky one. There were some attempts to name this plant on Facebook, but no one was successful. 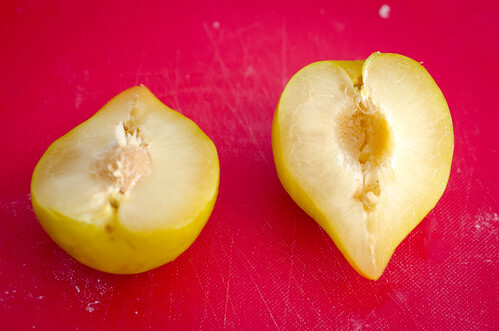 The Lemon Plum, according to Wikipedia, is imported from Chile and is only available in the U.S. for a short time in February. Clearly, in purchasing this fruit, I went against my attempts to only eat produce grown in the U.S. 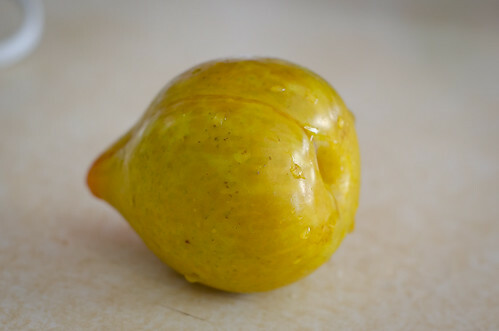 I also clearly did not wait for it to ripen. Glad to see you are still having a little taa time every now & then.